Developed in China over two thousand years ago, acupuncture is a medical practice that involves stimulating the body by penetrating the skin with thin needles. Acupuncture is often used to alleviate pain or treat a variety of medical conditions, and it is especially beneficial for treating upper back and neck pain. The general philosophy behind acupuncture is that the body contains a flow of energy called qi (pronounced ‘chee’) that needs to follow pre-set paths throughout the body to maintain ideal health. Sometimes this qi is thought to get trapped in parts of the body, which leads to pain and illness. Acupuncture, in turn, uses thin needles on some of over 2,000 parts of the body to release this qi and allow it to flow unhindered. Acupuncture is considered a ‘non-traditional’ treatment option because it’s not a standard procedure in western medicine. Often, acupuncture procedures are used to complement more traditional treatments so that patients experience pain-free living and healing faster. Increasingly, physicians and chiropractors are turning to acupuncture as a stand-alone treatment option for chronic pain. The release of the peptide opioid: As naturally occurring chemicals in the brain, opioids reduce the feelings of pain. It’s believed that the acupuncture procedure triggers the release of these substances. 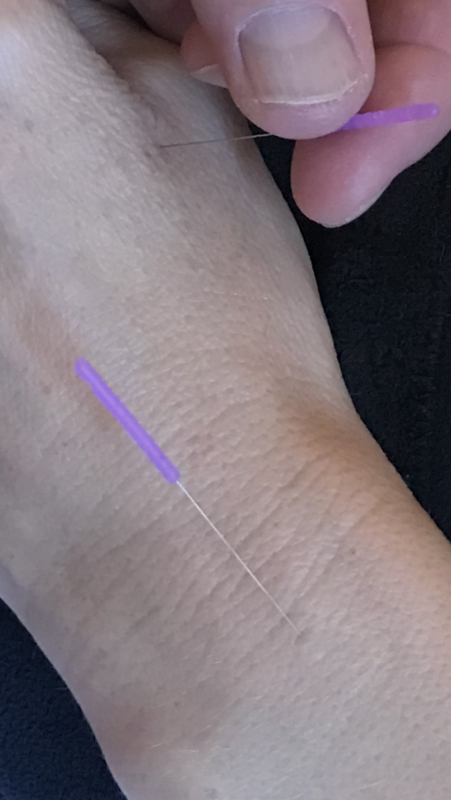 Changing Secretion Levels of neurotransmitters: By activating the hypothalamus, acupuncture is thought to directly affect pain sensations and promote natural immune system functioning. Stimulating Electromagnetic Points: By stimulating some of the 2,000 points in the body that are thought to start the flow of endorphins, acupuncture therapy acts as a natural painkiller. If you are struggling with lingering neck or back pain that conventional treatments aren’t improving, it might be time to consider acupuncture treatment instead. Dr. Breen is certified in acupuncture through Logan College, and he licensed by the Virginia Board of Medicine in Chiropractic in Manassas. Book an introductory appointment, and you might be surprised what difference this form of traditional Chinese medicine can make for your pain levels and general wellbeing.